This summer, we’re going Wild at Deep Sea World with our newest exhibit. 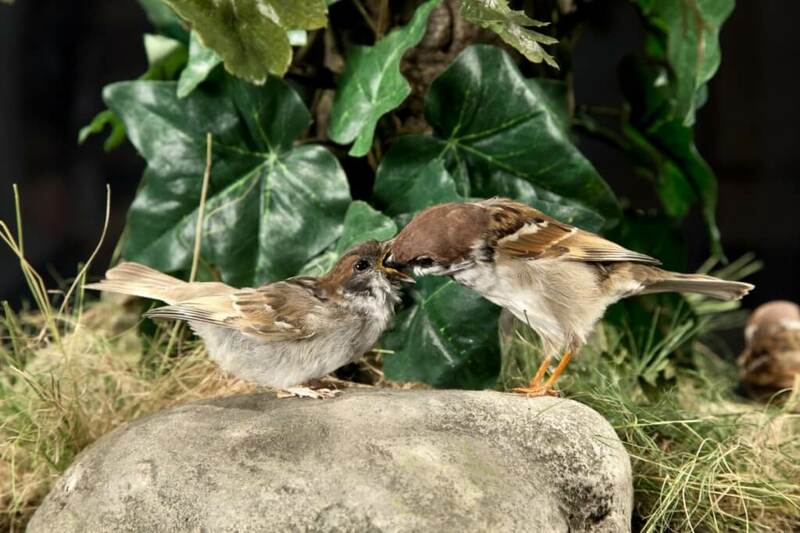 The attraction offers you the chance to view a wide variety of extraordinary wildlife that is commonly found around the British Isles, displayed as beautiful taxidermy pieces. For many of you, this may be the only chance you get to see these majestic creatures, because they are rarely encountered up close, and many of them also face extinction. To help you get a head-start, we’ve taken a look into some of the many animals that live in our native lands (and you can see all of them at Wild this summer!). 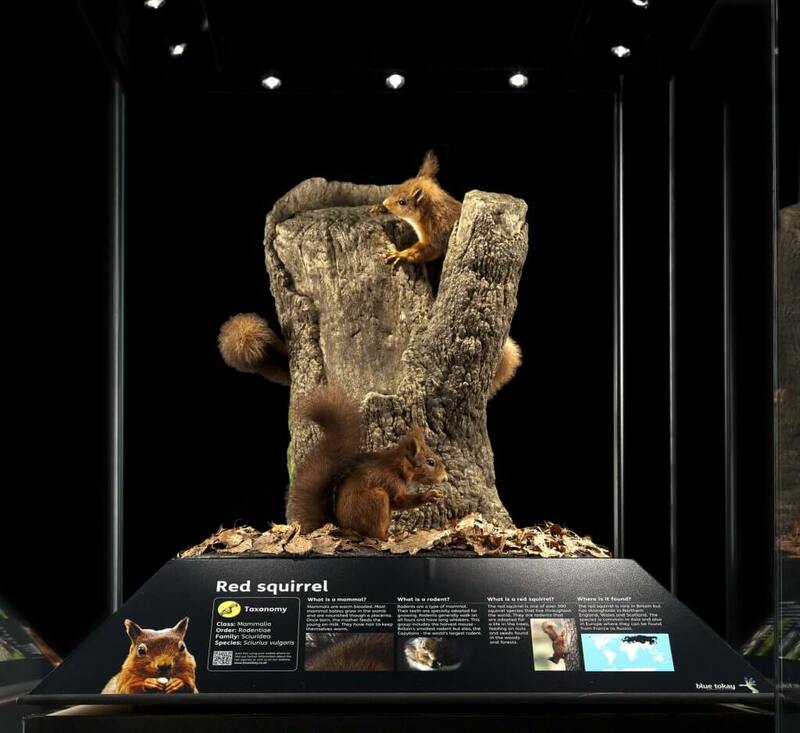 According to Saving Scotland’s Red Squirrels, there are now less than 160,000 red squirrels in the UK, with 120,000 of these being found in Scotland alone. This is dramatically down from the all-time high, which is thought to have been around 3.5 million in the 1950s. There are many reasons for the decline in red squirrel populations, including squirrel pox and the fact that grey squirrels can eat up to seven times more food than reds can. This is because greys eat food before it is ripe enough for reds to eat, which has caused aggressive competition for food between the two squirrel species. Red squirrels are pretty nifty animals. Not only are they able to swim, but they can also detect whether a nut is rotten without opening it. Meanwhile, their tails can be used for multiple different purposes, including balance, communication, and even for keeping warm during winter months! Found all across the world, except polar and desert regions, the barn owl is the most common species of owl and was first described in 1769 by Italian naturalist Giovanni Antonio Scopoli – who nicknamed it the “white owl”. Most barn owls (and their subspecies) are usually between 33 and 39cm in length. If you are lucky enough to witness a barn owl in flight, you can expect its wingspan to range from 80 to 95cm – nearly three times its length. Barn owls can live for around 20 years, and will feed on a diet of small mammals, such as mice. In some cases, barn owls have been known to prey on bats and lizards. Gannets are large, white seabirds. The three species of Gannet can be found in the North Atlantic, southern Africa, southern Australia, and New Zealand. Northern gannets are the largest seabirds in the North Atlantic, and can be identified by their black-tipped wings and long bills. Gannets are speedy divers, and can be known to dive from heights of 30 metres and achieve speeds of 100km per hour. The UK is home to around 56% of the world’s gannet population. The best places to see them are Hermaness, and Bass Rock in the Firth of Forth. Did you know that, at up to 50cm high, the red fox is the tallest species of fox? It is the only fox native to Western Europe, whilst it is also has the ability to adapt to new environments quickly – which explains the reason for the species surviving 1.8 million years to date. Whilst red foxes may look cute, the actual reality is that many people see them as pests. In fact, the Invasive Species Specialist Group included the red fox in its ‘World’s 100 Worst Invasive Species’ list, due to the animals’ widespread population and the fact they have colonised many suburban and urban areas. The great crested newt is widely found throughout the UK, and even holds the title for the largest of our native newt species. The newt can be identified from its dark brown skin, alongside a bright orange underside. Keep an eye on large ponds that contain plenty of weeds – you may come across a great crested newt! Whilst they may be widely populated, the great crested newt is threatened by habitat loss and changing farming practices. Some of the predators of the newt include foxes, hedgehogs, and even birds. With more than 10 beautiful pieces for you to marvel at, Wild offers a unique opportunity to see some of the UK’s beautiful creatures up close. Wild is family-friendly, and also includes a range of interactive elements for children of all ages to enjoy. The exhibition also includes formal learning materials for Key Stages 1, 2, and 3.